Many people wonder when is the best time to buy stocks. And the most accurate answer to this question is provided by Warren Buffet. According to the Omaha Oracle, the best time to invest was several years ago and the second-best time is now. If we take a look at the market itself, we will find a proof of Warren Buffet’s advice. For the last 20 years, the S&P 500 has jumped by more than 177%. Amazon’s shares, for the same period, jumped in value with more than 2 789%, while those of Apple skyrocket with 12 540%. So, obviously, the best time to buy stocks was several years ago indeed. ​​Although you may have missed the best moment to invest in stocks, you can capitalize on the second best – today. However, it is good to know that buying stocks straightaway may not be the best choice. The first steps in stock investing are always crucial. If the investor does not time the market accurately and end up making his first investment when it is heading for a nose-dive, he will surely endure a difficult first-time experience and end up with a bitter-sweet taste. However, in the long term, markets always tend to get back on track and the investor will regain his losses. Yet, it is always better to kick-off your investing experience with a return, even if it is a small one. The long years of market history have defined useful patterns that help investors find the best periods of the day, the week, the month and the year in order to make their investments. As lined out in the article Day trading for beginners, the time of the day to buy stocks is ​crucial. Unexperienced individuals should avoid investing as soon as markets open due to the higher volatility during the first few trading hours. Because of corporate news, geopolitical events and market-moving factors taking place overnight, the opening few hours of the market session can offer really unfavorable trading conditions. Although more experienced traders are often able to recognize the market noise and the stable patterns in instruments’ pricing, for newbies, it is better to wait for a couple of hours, until the markets stabilize. ​However, with the course of time, as traders become more experienced, they start to get involved in the market activity within the first 15 to 30 minutes from the opening session. 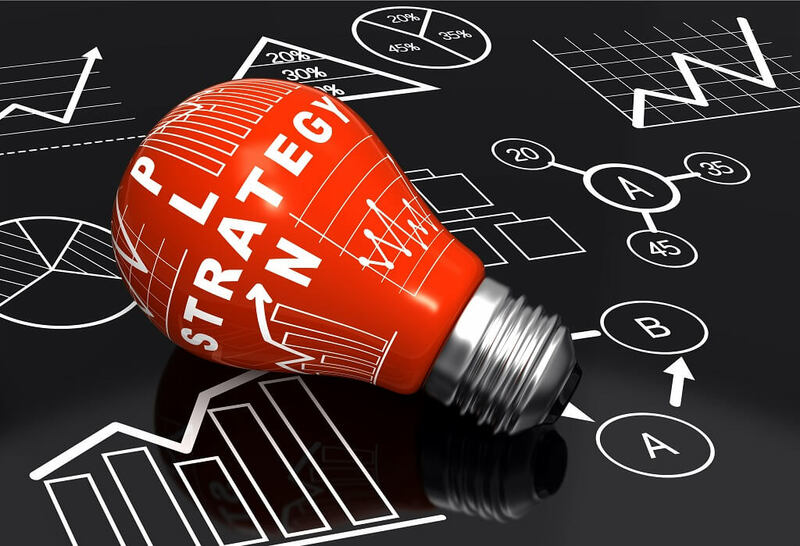 ​​Day trading strategies like the gap and go strategy ​come into action during the first few minutes of a trading day. ​This is all because of the fact that the biggest trades of the day usually take place right after the opening bell, when the investors’ interest is the biggest, as a result of the overnight events. If you are not afraid of the common volatility, following the market opening, then bear in mind that the frame between 9:30 and 10:30 in the morning is usually the best time to buy stocks. That one hour has proved to be the most dynamic in terms of price movements, which paves the way for bigger profit opportunities, compared to the rest of the trading session. If you are a beginner trader and prefer to avoid the periods when the market volatility is at its peak, the best thing to do is to wait until 11:30 AM. After that, markets usually calm down, prices become much more stable, trading volumes decrease and the overall result of all this is that returns get a lot easier to predict. This is because of the fact that market participants have already traded the overnight and morning news and start waiting for further information that is worth trading on to be revealed throughout the course of the day. However, this is not the case with the last few hours of the trading session. Traders, who have left some open positions throughout the day, are usually trying to close them in the time frame between 3:00 and 4:00 PM. They do that because they do not want to leave open positions at the no-trading hours as they will not have control on the events and their investments. This, alongside with the fact that in the end of the trading session, there is a high chance for a rally, results in higher volatility and more trading volume. So, if you are a beginner trader, make sure to close your positions in the hours prior to 3:00 PM. Otherwise, you risk getting stuck in a momentum that is very hard to predict. ​As a day trader, you also have to be aware of the fact, that ​buying on margin comes with limitations regarding the number of trades you can execute per day. ​Recommended read: What is buying on margin? ​​The pattern day trader rule makes it crucial that you have more than $25,000 in your account for pattern day trading. However, there is a pattern day trader workaround that you should take a closer look at if you like to trade with less then $25,000. With the course of time, a theory that certain days of the week are more suitable for achieving higher returns has started to evolve. Some swing trading strategies can be improved choosing the right time of the week to buy stocks. ​And according to it, the best days for trading are Mondays. This is also known as “The Monday Effect” or “The Weekend Effect”. ​The Monday Effect – a theory suggesting that the returns of stocks and market movements on Monday are similar to those from the previous Friday. The theory suggests that on Mondays, markets usually drop to lower levels due to the bigger accumulation of negative news throughout the weekend. Because of that, when markets open at the start of the new week, the probability for them to go down is higher. Although some official studies have managed to find the dependency of weekdays on the price of certain instruments, the logic behind that is yet to be explained. However, if you are about to buy stocks and wonder which days are the most suitable for that, go for Mondays. Still, bear in mind that even though historical data do confirm such scenarios, the overall effect on the market is not so sensible. On the contrary – if you wonder when to sell your stocks, do it on a Friday. With the course of the week, markets usually tend to take an upward trend that peaks on Fridays. This means that it is a good idea to think about shorting stocks on Friday and covering your positions back on Monday when the market gets to lower levels. The midpoint of each month is also a good time to buy stocks as instruments’ prices are usually lower. Due to the fact that as the end of the month approaches, stocks usually tend to go up (thanks to the money flows from fund managers), a good strategy is to buy the preferred instrument in the time frame 10th – 15th and then sell it at the end of the month. That way, investors can capitalize on monthly price movements and capture the momentum to gain a significant return. Most traders are aware of the sell-in-May-and-go-away idea. However, for those who wonder what is it so special about selling in May, it is worth noting that markets have proven to achieve better returns as the year approaches the end of its first half. Sometimes, this upward trend continues during the summer months as well. However, as September comes, markets usually go down a bit. That is why those who sell earlier in the year usually go long right after the summer months. ​October also is a month that marks an upward movement which usually lasts until December, when some investors prefer to go short on their stocks, due to tax reasons. ​However, in January, with the start of the New Year, usually an upward rally once again takes place and the whole cycle repeats. ​With the course of time, as investors get more experienced, they usually focus their efforts on trying to track down seasonal market patterns in the observed data. That way, they can easily predict price movements on a year-to-year basis and plan their investment strategy initially. However, it is worth noting that seasonal effects differ from the cyclical ones as they happen only once per year. Cycles, on the other hand, can take place multiple times per year or once every few years, for example. Finding out the best time to buy stocks may be important, but in reality, it is not the decisive factor on whether an investment will be a success. One of the exceptions might be high frequency trading. Overall, the most important thing when it comes to stock investments is to do proper research and find shares, representing companies that provide real value and have a sustainable business that is expected to continue to grow in the future. This research requires focusing on fundamentals, as well as acting in compliance with basic investment principles such as creating an investment plan, figuring out the horizon, diversifying the portfolio, etc. When it comes to stock market investments, it is worth noting that most investors tend to get scared when prices of instruments fall. The main mistake here is that individuals do not think about investing the way they do for shopping. The best time for shopping, for example, is the days with discounts, such as Black Friday or Cyber Monday. However, when it comes to investing, things get quite different. For example, during the years of the Financial Crisis, many investors preferred to stay away from markets and limit their stock investments because of the crash. However, those who had performed their analysis and researched companies that were able to survive the crisis and continue their development, were heavily rewarded afterwards. So, in the end, the most important thing is to tailor your investments and time the market based on fundamentals and corporate data, rather than the day of the week, month or the year. The first steps of most individuals on financial markets are often related to investing in stocks. Beginners should avoid day trading penny stocks​ and should only trade at the largest stock exchanges​. Whether one has received his first stock as a gift like the case with the Acorns’ founder, or it was a self-motivated purchase, the result in both cases is quite similar – in the long term, you will most probably be seeing your capital multiply. But if you manage to invest smarter and at the right time, you will increase the chance of your investments achieving a better performance. However, the truth is that most of the market-timing patterns are short-lived and not stable at all. And even in cases when market-timing has helped traders generate abnormal returns, it is worth mentioning that the whole move may turn out meaningless if it is not backed by an in-depth stock picking and extensive research. There ​is one particular stock screener, that does all the work for you: Trade Ideas.